This name uses Portuguese naming customs. The first or maternal family name is Cordeiroand the second or paternal family name is de Melo. Avila at the Mathematical Research Institute of Oberwolfach in 2012. Wikimedia Commons has media related to Geobiography Artur Ávila . 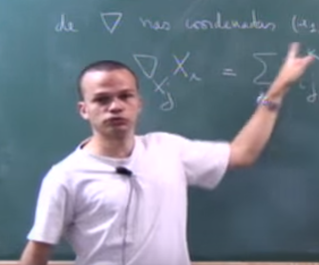 Artur Avila Cordeiro de Melo (born 29 June 1979) is a Brazilian and French mathematician working primarily on dynamical systems and spectral theory. 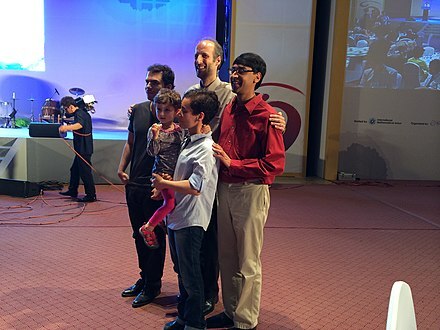 He is one of the winners of the 2014 Fields Medal,  being the first Latin American to win such award. He is a researcher at both the IMPA and the CNRS (working a half-year in each one). The International Mathematical Olympiad (IMO) is an annual six-problem mathematical olympiad for pre-college students, and is the oldest of the International Science Olympiads. The first IMO was held in Romania in 1959. It has since been held annually, except in 1980. More than 100 countries, representing over 90% of the world's population, send teams of up to six students, plus one team leader, one deputy leader, and observers. The Instituto National de Matemática Pura e Aplicada is widely considered to be the foremost research and educational institution of Brazil in the area of mathematics. It is located in the city of Rio de Janeiro, and was formerly known simply as Instituto de Matemática Pura e Aplicada, hence its official abbreviation. Colégio de São Bento is a Benedictine school for boys in Rio de Janeiro, Brazil with a history that dates back more than 150 years. It was founded in 1858 on the hills overlooking Rio de Janeiro's harbor and the Guanabara Bay, by the adjacent Benedictine monastery. Although the school is still run by the monastery, students who attend it may come from any denomination or religion. Jean-Christophe Yoccoz was a French mathematician. He was awarded a Fields Medal in 1994, for his work on dynamical systems. In 2005, at age 26, Avila became known amongst mathematicians for proving the "Conjecture of the ten martinis", a problem proposed in 1980 by the American mathematical physicist Barry Simon. Simon promised to pay ten martini doses to whoever explained his theory about the behavior of "Schrödinger operators", mathematical tools related to quantum physics. Artur solved the problem along with mathematician Svetlana Jitomirskaya   and was rewarded with a few rounds of martini. Barry Martin Simon is an American mathematical physicist and the IBM Professor of Mathematics and Theoretical Physics at Caltech, known for his prolific contributions in spectral theory, functional analysis, and nonrelativistic quantum mechanics, including the connections to atomic and molecular physics. He has authored more than 400 publications on mathematics and physics. Svetlana Yakovlevna Jitomirskaya is a Soviet-American mathematician working on dynamical systems and mathematical physics. The Salem Prize, founded by the widow of Raphael Salem, is awarded to young mathematicians judged to have done outstanding work in Salem's field of interest, primarily the theory of Fourier series. 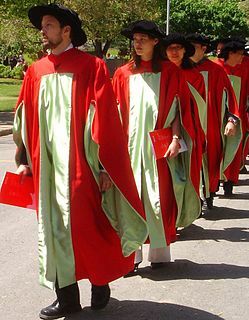 The prize is considered highly prestigious and many Fields Medalists previously received Salem prize. The prize was 5000 French Francs in 1990. The French National Center for Scientific Research is the largest governmental research organisation in France and the largest fundamental science agency in Europe. In 2016, it employed 31,637 staff, including 11,137 tenured researchers, 13,415 engineers and technical staff, and 7,085 contractual workers. It is headquartered in Paris and has administrative offices in Brussels, Beijing, Tokyo, Singapore, Washington, D.C., Bonn, Moscow, Tunis, Johannesburg, Santiago de Chile, Israel, and New Delhi. The European Mathematical Society (EMS) is a European organization dedicated to the development of mathematics in Europe. Its members are different mathematical societies in Europe, academic institutions and individual mathematicians. The current president is Pavel Exner, Scientific Director of the Doppler Institute for Mathematical Physics and Applied Mathematics in Prague. The Michael Brin Prize in Dynamical Systems, abbreviated as the Brin Prize, is awarded to mathematicians who have made outstanding advances in the field of dynamical systems and are within 14 years of their PhD. The prize is endowed by and named after Michael Brin, whose son Sergey Brin, is a co-founder of Google. Michael Brin is a retired mathematician at the University of Maryland and a specialist in dynamical systems. ↑ Vanessa Fajardo (12 August 2014). "Pesquisador brasileiro ganha prêmio equivalente a 'Nobel' de matemática". G1. ↑ "Artur Avila". Clay Mathematics Institute. ↑ "Solving the Ten Martini Problem" (PDF) (in Portuguese). 1 2 Avila, Artur; Jitomirskaya, Svetlana (2005). "Solving the Ten Martini Problem". The Ten Martini Problem. Lecture Notes in Physics. 690. pp. 5–16. arXiv: math/0503363 . doi:10.1007/3-540-34273-7_2. ISBN 978-3-540-31026-6. ↑ "2017 Lecture - Institute of Mathematics of the Jagiellonian University". www.im.uj.edu.pl. Retrieved 2017-06-25. ↑ "Prizes and Awards". The World Academy of Sciences. 2016. ↑ Avila, Artur; Jitomirskaya, Svetlana (2005). "Simplicity of Lyapunov spectra: Proof of the Zorich-Kontsevich conjecture". arXiv: math/0508508 . "Artur Avila's results". International Mathematical Olympiad . Laurent Lafforgue is a French mathematician. He has made outstanding contributions to Langlands' program in the fields of number theory and analysis, and in particular proved the Langlands conjectures for the automorphism group of a function field. The crucial contribution by Lafforgue to solve this question is the construction of compactifications of certain moduli stacks of shtukas. The proof was the result of more than six years of concentrated efforts. Maxim Lvovich Kontsevich is a Russian and French mathematician. He is a professor at the Institut des Hautes Études Scientifiques and a distinguished professor at the University of Miami. He received the Henri Poincaré Prize in 1997, the Fields Medal in 1998, the Crafoord Prize in 2008, the Shaw Prize and Fundamental Physics Prize in 2012, and the Breakthrough Prize in Mathematics in 2014. Grigori Yakovlevich Perelman is a Russian mathematician. He has made contributions to Riemannian geometry and geometric topology. In 1994, Perelman proved the soul conjecture. In 2003, he proved Thurston's geometrization conjecture. The proof was confirmed in 2006. This consequently solved in the affirmative the Poincaré conjecture. 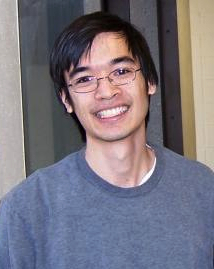 Terence Chi-Shen Tao is an Australian born American mathematician who has worked in various areas of mathematics. He currently focuses on harmonic analysis, partial differential equations, algebraic combinatorics, arithmetic combinatorics, geometric combinatorics, compressed sensing and analytic number theory. As of 2015, he holds the James and Carol Collins chair in mathematics at the University of California, Los Angeles. Tao was a co-recipient of the 2006 Fields Medal and the 2014 Breakthrough Prize in Mathematics. Claire Voisin is a French mathematician known for her work in algebraic geometry. She is the Director of research at Centre national de la recherche scientifique at the Institut de mathématiques de Jussieu – Paris Rive Gauche, a member of the French Academy of Sciences and the chair of Algebraic geometry at the Collège de France. Ravi D. Vakil is a Canadian-American mathematician working in algebraic geometry. Akshay Venkatesh is an Australian mathematician and was a professor at Stanford University. He is a professor at Institute for Advanced Study. His research interests are in the fields of counting, equidistribution problems in automorphic forms and number theory, in particular representation theory, locally symmetric spaces, ergodic theory, and algebraic topology. Yakov Soibelman born 15 April 1956 is a Russian mathematician, professor of Kansas State University, member of the Kiev Mathematical Society (Ukraine), founder of Manhattan Mathematical Olympiad. Fernando Codá dos Santos Cavalcanti Marques is a Brazilian mathematician working mainly in geometry, topology, partial differential equations and Morse theory. He is a professor at Princeton University. In 2012, together with André Neves, he proved the Willmore conjecture. Marcelo Miranda Viana da Silva is a Brazilian mathematician working in dynamical systems theory. Ricardo Mañé Ramirez was a Uruguayan and Brazilian mathematician, known for his contributions to dynamical systems and ergodic theory. He was a doctoral student of Jacob Palis at IMPA. Carlos Matheus Silva Santos is a Brazilian mathematician working in dynamical systems, analysis and geometry. He currently works at the CNRS, in Paris. Anton V. Zorich is a Russian mathematician at the Institut Mathématiques de Jussieu. He received his Ph.D. from Moscow State University under the supervision of Sergei Novikov. Carlos Gustavo Tamm de Araújo Moreira is a Brazilian mathematician working on dynamical systems, ergodic theory, number theory and combinatorics. 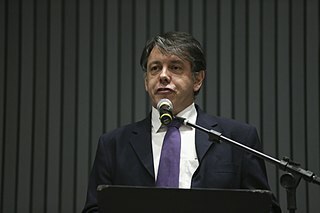 Moreira is currently a researcher at the Instituto Nacional de Matemática Pura e Aplicada (IMPA). Giovanni Forni is an Italian mathematician at the University of Maryland known for his research in dynamical systems. Robert (Rob) D. Morris is a mathematician who works in combinatorics, probability, graph theory and Ramsey theory. He is a researcher at IMPA. In mathematics, the Simon problems are a series of fifteen questions posed in the year 2000 by Barry Simon, an American mathematical physicist. Inspired by other collections of mathematical problems and open conjectures, such as the famous list by David Hilbert, the Simon problems concern quantum operators. In 2014, Artur Avila won a Fields Medal for work including the solution of three Simon problems. 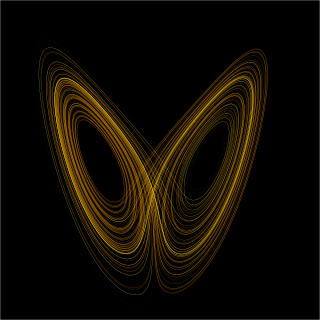 Among these was the problem of proving that the set of energy levels of one particular abstract quantum system was in fact the Cantor set, a challenge known as the "Ten Martini Problem" after the reward that Mark Kac offered for solving it. Eight of the problems pertain to anomalous spectral behavior of Schrödinger operators, and five concern operators that incorporate the Coulomb potential.